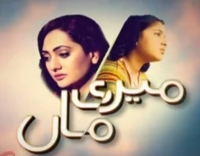 "Meri MAA" is a heart touching, emotional saga produced by A&B Entertainment and telecast on GEO Entertainment. Penned by Kishore Asmal & Raheel Ahmed the serial is direced by Wajahat Hussain with a strong cast. More details and story of the serial is coming soon. On this page: Meri Maa story, synopsis, wiki and details about the tv show.